Coolestmommy is pleased to participate in this giveaway being hosted by Tammie's Reviews, Giveaways and More and sponsored by RadioShack. I'm thrilled to participate with Tammie in this giveaway because while I find many giveaways that appeal to younger children, teens are often overlooked. If you have someone in your life who is heading off to college or even a teenager who is really into music, then this is the giveaway for you. I know Andrew would love to get his hands on the Bluetooth Speaker (or the Amazon Gift Code because he likes to download music, too). 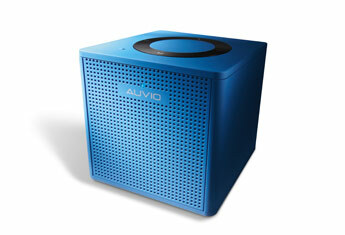 When I was reading about the Auvio Bluetooth Speaker, I discovered that it works with your smartphones, too, so you can have a better speakerphone. Awesome! Andrew (and I) would probably fight over who gets to use this one! 1 winner will win a $5 Amazon Gift Code (open World Wide). You can read Tammie’s review of the product HERE. This giveaway runs from 9/26 to 10/10, starting and ending at 7 p.m. Winner must be 18 years of age or older. Winner will have 48 hours to respond to the email. Complete terms and conditions are on the Widget. Please enter using the easy Giveaway Tools widget below and Good Luck. Disclosure- Coolestmommy is not responsible for prize fulfillment.